We will use our air power as needed to protect coalition forces and our partnered operations. …We advise the Syrian regime to steer clear of [certain] areas.The policy shift was so apparent that, one-by-one, the press corps asked for clarification. Does this mean that the US would shoot down Russian or Syrian planes if they attacked any US-backed partners even if they were engaged against Syrian government forces? Are those “coalition forces” and “partnered operations” receiving US protection against attack from the air always in receipt of that protection, or only when they are actively engaged in military operations? What are the rules of engagement? How is telling Syria not to fly in certain areas not a ‘no fly’ zone? “Call it what you will,” Cook eventually said. The press conference in question can be viewed here. Weapon makers have told investors that they are relying on tensions with Russia to fuel new business in the wake of Russia’sannexation of Crimea and modest increases in its military budget. ….Think tanks with major funding from defense contractors, including the Lexington Institute and the Atlantic Council, have similarly demanded higher defense spending to counter Russia. I’m not sure how Putin would be able to work around the Israeli government’s intransigence on this issue, but if any world leader is adept at pulling a rabbit out of his hat, it is Putin. I wish him much luck – he will need it . 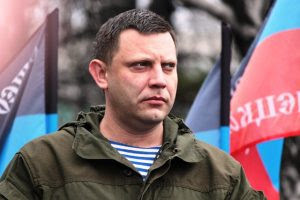 There have been several OSCE reports over the months indicating that OSCE monitors of the contact line in Donbass have encountered hostility and threats from soldiers representing the Donetsk People’s Republic (DPR) in the course of doing their job. I’m also aware of reports that many in the DPR do not trust the OSCE monitors and believe them, for various reasons, to be biased. We have discussed with Mr. Hug all the questions which are of interest for, on the one hand, the OSCE monitoring mission and, on the other hand, the Donetsk People’s Republic. In particular, it was issues relating to the ceasefire o the contact line. In this regard, I appealed to Mr. Hug with a request for the OSCE mission to be more objective. With regard to the security of the OSCE observers in the Donetsk People’s Republic, I suggested that Mr. Hug consider an option of our officers accompanying the observers. Then we will be able to take responsibility not only for the safety of the observers, but also for the fact that there will be no obstacles and misunderstandings in the performance of their duties. In addition, I made a proposal that the OSCE warn us about the work of their drones. In this case, no one will interfere with their work. Otherwise, our military perceive drones as unidentified aircraft that may pose a threat to our residents. As it is known, recently, the Ukrainian side has been using their drones not only for the reconnaissance and subsequent shelling, but also directly to attack, stuffing their UAVs with explosives. On the whole, the conversation was constructive, and we agreed to meet again after Mr. Hug ponders my suggestions. ….There has been lots of publicity around a letter to President Obama, supposedly written by 15 doctors in East Aleppo. The letter ends “We need your action.” The flow and wording of the letter suggests it may have been composed by a marketing company and there has been no verification of the doctors who supposedly signed it. The letter was likely written by a paid Syria War propagandist or Washington lobby firm. Read the letter here and judge for yourself. For contrast watch this interview with a real Syrian doctor not mouthing propaganda from K Street in Washington D.C.
An online Change petition asks German Chancellor Angela Merkel and President Barack Obama to “save the people of Aleppo.” The publicly funded Holocaust Memorial Museum has promoted the video #SaveSyria. One of the producers of the video is The Syria Campaign which is the marketing organization which branded the pervasive “White Helmets,” as documented in “Seven Steps of Highly Effective Manipulators”. In parallel with this media campaign, the House Foreign Affairs Committee has introduced HR5732 the “Caesar Syrian Civilian Protection Act of 2016.” The resolution calls for escalating economic/financial pressure on Syria and “Assessment of potential effectiveness of and requirements for the establishment of safe zones or a no fly zone in Syria”. Dr. Sahloul, the Syrian American Medical Society doctor / spokesperson, says that Obama’s legacy will be defined by whether or not he attacks Syria to impose a “no fly zone.” It seems unlikely that Obama would do that at the end of his term. Instead, the goal is to prepare the public for the new war to begin after Hillary Clinton becomes President. –At least 85 percent of Aleppo’s population is in government-controlled areas. –The estimate of 300,000 civilians in rebel/terrorist-controlled east Aleppo is likely a gross exaggeration. In spring 2015, Martin Chulov of the Guardian visited the area and estimated there were 40,000. –While there are very few doctors serving in the opposition-controlled Aleppo, there are thousands of doctors working in the government-controlled area. –The dominant rebel-terrorist group in Aleppo is the Syrian version of Al Qaeda. –The rebel-terrorists launch dozens and sometimes hundreds of mortars daily into the government-controlled areas causing huge casualties. Western media ignores this destruction and loss of life. –The much publicized April bombing of the supposed Medecins sans Frontieres-supported “Al Quds Hospital” in Aleppo was full of contradictions and discrepancies. These were highlighted in an Open Letter to MSF. To this date, MSF has not provided corroborating information. –Much of the video purporting to show bombing effects in Aleppo are stamped with the “White Helmets” logo. White Helmets is a creation of the U.S. and U.K. and primarily a propaganda tool. The claims they are Syrian, independent and non-partisan are all false. 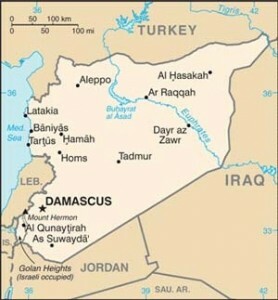 –Much of the information about Syria comes from “activists” trained and paid by the U.S. In her book Hard Choices, Secretary Clinton says the U.S. provided “training for more than a thousand (Syrian) activists, students, and independent journalists” (p464, hardback version). Obviously they are not independent and their reports should be carefully checked. –In contrast with the ambiguous situation at “Al Quds Hospital”, consider what happened to Aleppo’s “Al Kindi Hospital.” Take three minutes to view the suicide bombing of Al Kindi Hospital. Take two minutes to view what the “rebels” did to Syrian soldiers who had been guarding the hospital. –The latest propaganda tool being used to promote U.S. aggression against Syria is the photograph of little Omran in the orange ambulance seat. The video comes from the Aleppo Media Center, or AMC. Like the White Helmets, AMC is a U.S. creation. The photo of Omran has been widely accepted without scrutiny. The insightful Moon of Alabama has raised serious questions about the media sensation. Brad Hoff has documented that the main photographer, Mahmoud Raslan, is an ally of the Nour al Din al Zenki rebel terrorists who beheaded a young Palestinian Syrian a few weeks ago, confirmed step by step in this short video. Another good short video exposing the propaganda around #Syrianboy is here. Why the Burst of Propaganda? The Syrian crisis is at a critical point with the prospect that the rebel/terrorists will collapse. If they are crushed or expelled, it would allow hundreds of thousands of displaced Aleppans to return home as soon as services are restored. This would also allow the Syrian army and allies to focus on attacking the Islamic State in the east and rebel/terrorist groups remaining in Idlib, Hama, the outskirts of Damascus and the south.